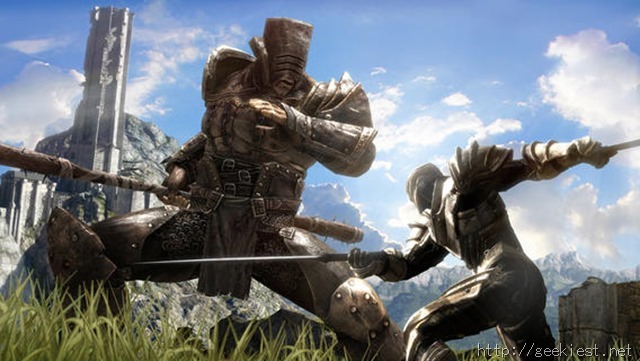 If you are an iOS gamer, chances are you have heard of Infinity Blade. Its a popular fighting game series, where your character has to battle monsters in one on one battles. The gameplay is quite simple, you have to dodge or block the enemy’s attacks by using the on screen buttons, and attack them by swiping on the screen. You can level up your character and customize him with various weapons and armour. The game is renown for its stunning graphics , take a look at the official trailer below. It is a bit disappointing that the IB games are only available for iOS, leaving Android users with no choice but to play badly made clones and spin-offs. IB 2 has been chosen as the App of the Week, which means you can get Infinity Blade 2 for Free from the iTunes App Store. The game normally costs $6.99, so don’t miss this one. Infinity Blade II is compatible with almost all iOS devices. You just need one running on iOS 4.3 or above. The game is quite large at a little over 1 GB, so make sure you have a good internet connection and plenty of free space on your device. And if you like it, the third game in the series, Infinity Blade III, is on sale for $2.99 for a limited time. Get Infinity Blade III FREE for a limited time.